A blog created by WRJ Design, a Jackson, Wyoming-based firm specializing in interior and exhibition design, has been named one of the Top 100 Interior Design Blogs on the web by Feedspot. Called “Hunt X Gather,” the WRJ blog offers a freeform exploration of topics that inspire and inform the Jackson Hole design firm and was selected for the international list based on criteria including Google ranking and quality of posts. WRJ Design’s Showroom in Jackson Hole is home to exclusive collections that often provide seeds of inspiration for posts on its award-winning blog, Hunt X Gather. High fashion, fine art, Ferraris – all have made their way into the weekly missives. 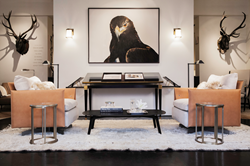 Jackson, Wyoming-based WRJ Design’ s blog “Hunt X Gather” has been named one of the Top 100 Interior Design Blogs on the web, announced Rush Jenkins, CEO and founding partner of WRJ Design with COO Klaus Baer. The list, compiled by Feedspot, was based on blogs’ rankings in Google, their influence on social networks and the overall quality of blog posts. “We’ve handpicked … blogs who tirelessly scope out the latest trends and show us how to incorporate them into our living spaces,” writes Feedspot founder Anuj Agarwal of the international list. Throughout its little-over-a-year of posts to date, Hunt X Gather has offered everything from behind-the-scenes buzz on such fabulous WRJ-designed exhibitions as the lush evocation of Bunny Mellon’s Virginia estate at Sotheby’s New York headquarters to sharing insight into unique pieces from the firm’s Jackson showroom – a vintage fiber cement pod chair by Swiss designer Willy Guhl. 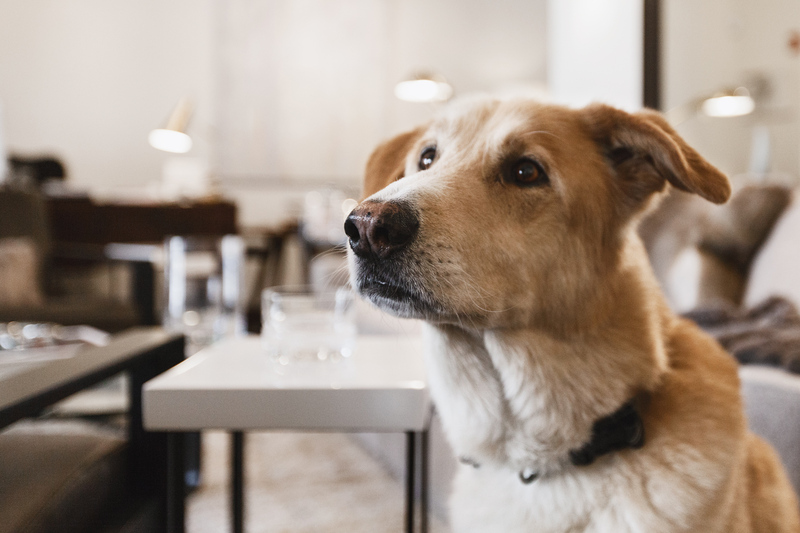 Even the arrival of WRJ’s newest team member, rescued canine Buddy, and his penchant for cuddling up with Loro Piana cashmere samples garnered a mention, tied to the firm’s community involvement in support of a local nonprofit fundraiser and pet adoption event. WRJ Design imparts the special harmony and serenity of its Teton setting to interior design projects in Jackson Hole and across the country. Started out of a passion for great design by Rush Jenkins and Klaus Baer, WRJ creates residential interiors that combine a sense of discovery with serene and timeless reflections of their owners. Their exhibition designs for titans of philanthropy, fashion, music and politics give insight into the lives of luminaries from Brooke Astor to Cher, the Kennedy family to Sir Jonathan Ive, Marc Newson and Bono for Sotheby’s (RED) auction that raised more than $26 million to fight AIDS in Africa. http://www.wrjdesign.com. 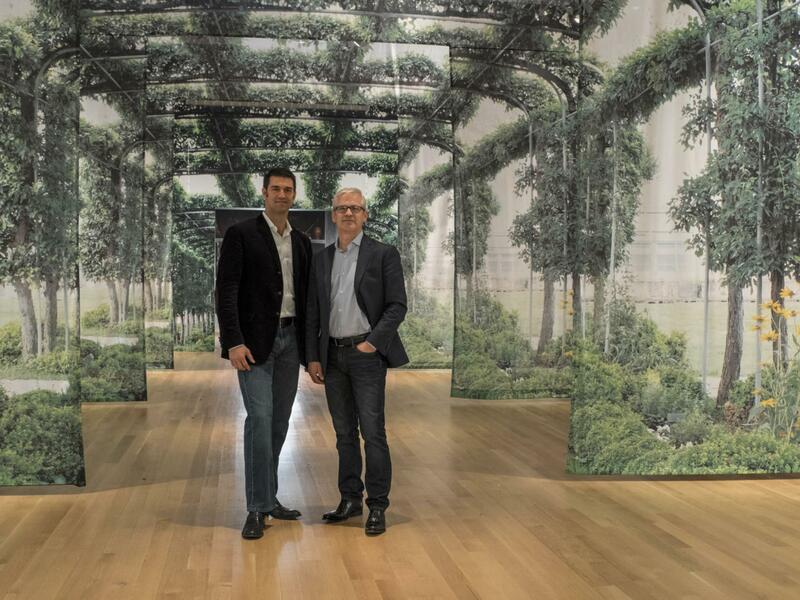 WRJ partners Klaus Baer and Rush Jenkins share insight into their transformation of Sotheby’s New York headquarters into a tribute to Bunny Mellon in a late 2014 blog post. 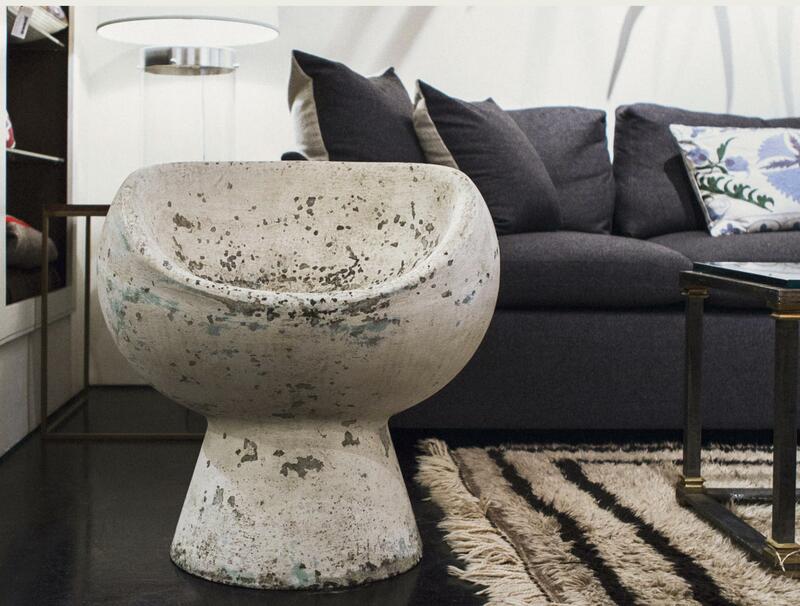 A weathered cement pod chair by Swiss designer Willy Guhl, shown in WRJ Design’s Jackson, Wyoming, showroom, offered the jumping off point for a blog post. Buddy, the dog with a penchant for fine fabrics, a new addition to the WRJ Design team, merited a Hunt X Gather post that also spread the word about a worthy Jackson nonprofit’s canine adoption event.